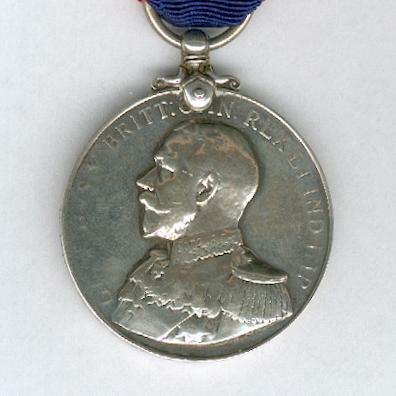 Circular silver medal with claw and laterally-pierced ball suspension; the face with the head of King George VI facing left, circumscribed ‘GEORGIVS V BRITT: OMN:REX•ET IND:IMP. (George V King of Great Britain Emperor of India), signed ‘BM’ (for Sir Bertram Mackennal, 1863-1931); the reverse with a battle ship at speed under a cloudy sky, inscribed below ‘DIUTURNE FIDELIS’ (forever faithful); attributed on the edge to ‘SS. 1115 PO. B. 8 574 A. W. MORRALL. 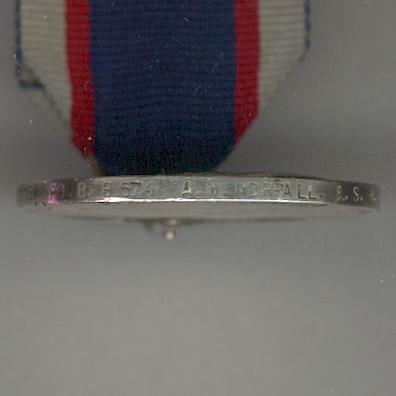 L. S. R.F.R’; the medal has been vigorously polished with consequent loss of detail; on probably replaced correct ribbon. 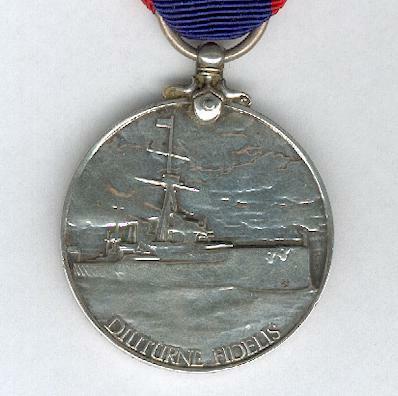 The medal was instituted on 1 April 1920 to be awarded to Petty Officers and ratings for 15 years’ service and this example is from after that date but before the change to the ‘coinage head in 1931. 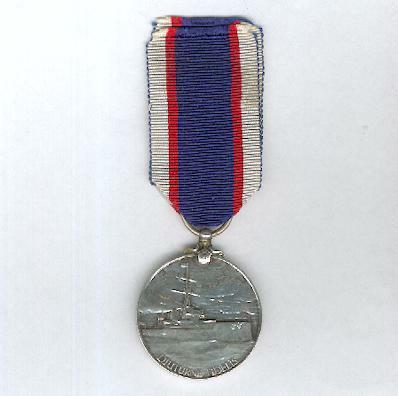 The medal is identical to the Royal Naval Reserve and Royal Naval Volunteer Reserve, being distinguished only by a different ribbon and the unit attribution on the edge. It was discontinued in 2000. The Royal Fleet Reserve was composed of former Royal Navy and Royal Marines personnel who had returned to civilian life but remained available for service in emergencies or wartime. Petty Officer A.W. 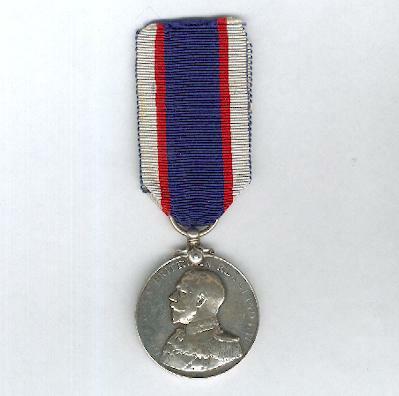 Morrall received this medal on 16 March 1923. Sold with a copy of the Admiralty Roll showing entitlement.